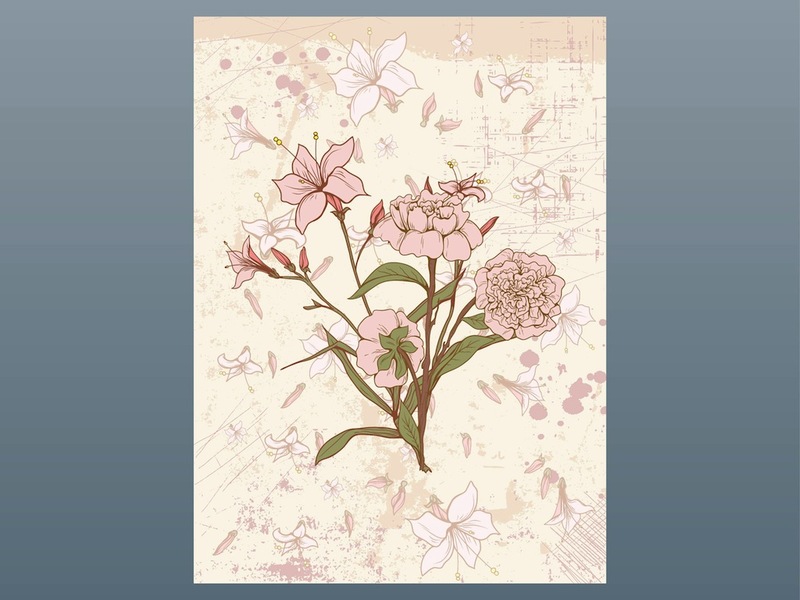 Vector graphics of a vintage floral image. Rectangular template for all kinds of posters, greeting cards and flyers. Detailed blooming flowers in soft colors, grunge background with a splatter pattern, aged paper effects on the whole image. Download this free vector for your greeting cards and posters projects. Tags: Flowers, Flowers Card, Leaves, Natural, Nature, Petals, Plants, Spring.